“Building the best jobs in a post-EU era” is the top priority for the Recruitment & Employment Confederation (REC) following Friday’s Brexit result, Tom Hadley, the REC’s director of policy, has toldRecruiter in the wake of a turbulent weekend of politics, rhetoric and speculation about the UK’s future. involvement in any negotiations of future trading agreements with the bloc and what it means for workers. Repealing EU directives will not be so simple given the examples of countries such as Switzerland and Norway, which are not part of the EU but have trade agreements with the EU that involve adherence to huge amounts of EU-derived employment law. Hadley said it’s still too early to make any plans but he said he was encouraged by the prevailing message from the government that nothing is going to change just yet. “Most people in our industry understand this is going to be a prolonged period of readjustment and we will be listening to our members to find out what the priorities are but also to hear what feedback they are getting from their clients,” says Hadley. “We won’t be looking to giving the answers, not necessarily, but we will be very much in listening mode when we talk to our members. How much will regulatory framework change? Do we want it to change? Also the skills agenda… if freedom of movement disappears over the years, how will we fill those vacancies? How are we going to ramp up our own skills in the UK? “Our priority is to make sure we can build the best jobs in a post-EU era,” he added. He went on to say: “In the short term, some companies might be reassured by the refrain that nothing will change in the immediate future. Having a new prime minister will be one of the key milestones we face, so we may need to wait until October until we start seeing any changes. The more government gets this message across the better for stability. Samantha Hurley, Association of Professional Staffing Companies (APSCo) operations director, agreed, and added that although the Brexit result was a shock for many of its members, the association was determined to ensure that any upcoming negotiations recognise the importance of the flexible professional staffing sector. In a poll in February, nearly 60% of APSCo members said they would vote to remain part of the EU. 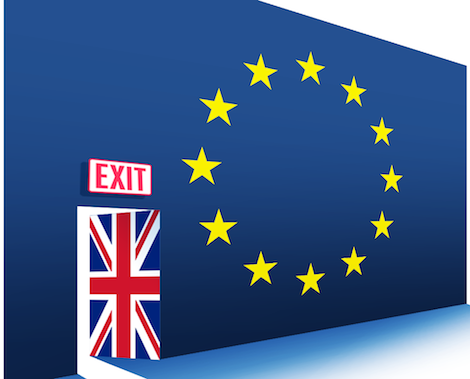 Meanwhile, The Employment Agency Movement (TEAM) said the industry now needed to focus on moving forward, and pointed out that Brexit offered government a chance to innovate and foster UK economy and business growth. TEAM said the industry now needs a strong government to show direction and leadership through these uncertain times. Longman added that too much nonsense had already been spoken about the operational detail of the recruitment sector in the run-up and the aftermath of the referendum. Focusing on the positive impact on employment legislation, Longman added: “It is hoped that we will sensibly retain all that is good, rid ourselves of what doesn’t work, as well as introducing some positive changes that are right for employees in the UK. A positive side effect will be to decrease the time taken for elements of case law to be decided. Azmat Mohammed, IOR [Institute of Recruiters] director general, called for calm and urged the industry to keep open its lines of communications with members, clients and government. He has also pledged to keep IOR members up to date. “The IOR will continue to issue guidance and publish information on an ongoing basis. It’s clear that there are very mixed forecasts of what lies ahead so the best thing for now is to be calm and optimistic,” said Mohammed. “We would urge recruiters to keep an open dialogue with clients to ascertain their hiring intentions and get a feel for their own particular clients and sectors, as challenges will be different in each sector. The Association of Recruitment Consultants (ARC), which represents recruitment consultancies across 236 geographical sectors and is run by employment law experts, reiterated the need for calm. Chairman Adrian Marlowe said: “There’s no clarity at all as to what’s going to happen. We don’t know what the ramifications are yet. ARC will continue to campaign as we have always done to protect the commercial interests of our members and promote the recruitment industry.